Santiago Garcí­a Navarro: If art has ceased to be a single field, in the new territory you are theorizing about, and it's now combining with other practices that also act in their respective fields; and if the actions within a "practical regime" of the arts take on character only when producing a community, in other words, a measure of how they engage in politics, what would define them as being artistic? In what sense, then, is it important or at least useful to hold on to the idea of a regime of the arts? 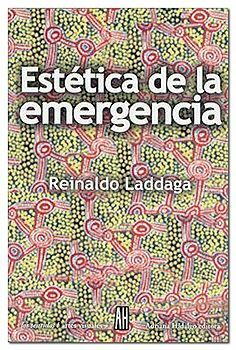 Reinaldo Laddaga: I think that if it makes sense to view the projects that I refer to in the book as art, it is for a genealogical reason: the central players of the projects I analyze, their initiators or designers, are individuals trained in the tradition of contemporary art , literature or cinema. To put it another way, these projects are part of the heritage of modern art, in the same way that the paintings of Rubens, let's say, are derived from the Flemish school of religious paintings of the fourteenth century, a school with which his work only has certain things in common. This, however, is a heritage that has found other genealogical lines (those of political militancy, systems design, and even scientific research) and that has led to the establishment of hybrid entities, as is the case with the majority of these projects. I do not see any need, for the moment, to introduce other terms, although I do see a need to adopt a presentation strategy that will enable me to point out that they belong to a certain family, without necessarily having all the features of its members with which their specific profile tends to identify. They have also adopted features of other families at the same time, thus often giving rise to unstable forms of coexistence. SGN: Now, could we say there is a trend in which a genealogical complex whose scientific, political, etc. origin is as -or even more- determining than its artistic one? How would you define art, not from a genealogical point of view, but from a transdisciplinary focus (bearing in mind that the book has two overlapping approaches: the genealogical and the characteristically contemporary transdisciplinary approach)? (in relation, for example, to issues such as an artist's conception, that we were talking about a little earlier). My own definition of what is artistic is absolutely minimal: there is and have been, for almost as long as we know, in the social groups we know about, a set of more or less regularized (more or less institutionalized, in fact) activities centered around an individual's actions designed to affect other individuals through performances, events, constructions carried out in such a way as to optimize the effectiveness of their form. The modern culture of the arts is naturally a particular historical configuration of this general trend. SGN: In what way do you differ from the structuralist genealogy of Ranciere that you applied in the book? RL: The discussion of Ranciere's recent work, which is very rich, deserves an in-depth examination which I cannot enter into here. I will limit myself to pointing out my main reservations. One is very simple: his proposed reconstruction of the genealogy of modern art (of what he calls "the aesthetic regime of the arts") is too centered on the Franco-Germanic universe. The transition that he describes only works for that universe, in the way that he specifies in his books. It does not apply to the Hispanic or Hispanic-American universe, or to the Anglo-American or the Italian, to mention a few others. Moreover, his reconstruction is flawed by an issue that has to do with the theoretical line of his positions. The outline, the progression of stages he proposes, seems to me rather static. And I cannot find any indications as to how to describe and explain these transitions, which obviously never take place instantaneously. This flaw in his outline is particularly limiting for those wanting to interpret the present, in the measure that our present is a transition: the old beliefs, and the means of action and the ways of feeling that accompany them, lose force and the ability to convince, but the new forms have yet to be defined. That is why, when he views the present, Ranciere himself struggles to see in it anything that is not a repetition or prolongation of the past. For my part, I try to look precisely for whatever cannot be described either as a mere prolongation or, of course repetition.